Although she was brought back several times after elimination, Newberg native Natasia GreyCloud has returned home after finally being ousted on the NBC reality show "The Voice." GreyCloud's run lasted until earlier this month on the popular singing show, although she described her experience as nothing but positive. GreyCloud, 29, was ousted after having been saved twice before on the show. She initially made it onto the show after dazzling the judges during the blind auditions with her rendition of Sam Smith's "I'm Not the Only One." GreyCloud earned a spot on Team Jennifer Hudson. However, barely a month into her Voice journey, it appeared as if GreyCloud might be packing her bags and heading home. She went head to head with teammate Mike Parker, where they sang a duet of John Mayer's "Gravity." Parker was declared the winner in a battle round on Oct. 16 by Hudson, which would have sent GreyCloud home. However, GreyCloud was scooped up by judge Kelly Clarkson to remain on the show. She was later chosen again by judge Blake Shelton to stave off elimination, before eventually being nixed from the show. In a phone interview, GreyCloud said she learned a lot from the judges and teachers she had on the show, and will continue to use those lessons in performances going forward. "It was so incredible, I had the greatest time," GreyCloud said. "I learned so much about myself as an artist and as a performer." GreyCloud previously said she came to love performing through singing in church and performing in high school. She is now returning to the Newberg area for a series of performances following her stint on "The Voice." She will appear from 5:30 to 7:30 p.m. Friday at Social Goods, with tickets available for $15 at the door. The following week she will be performing at the Blue Diamond in Portland. GreyCloud made it to the top 24 contestants on the show, which is no small feat, as she said more than 40,000 people auditioned. From those auditions, contestants were whittled down just over 100 for the blind auditions. "I'm pretty satisfied with top 24," she said. 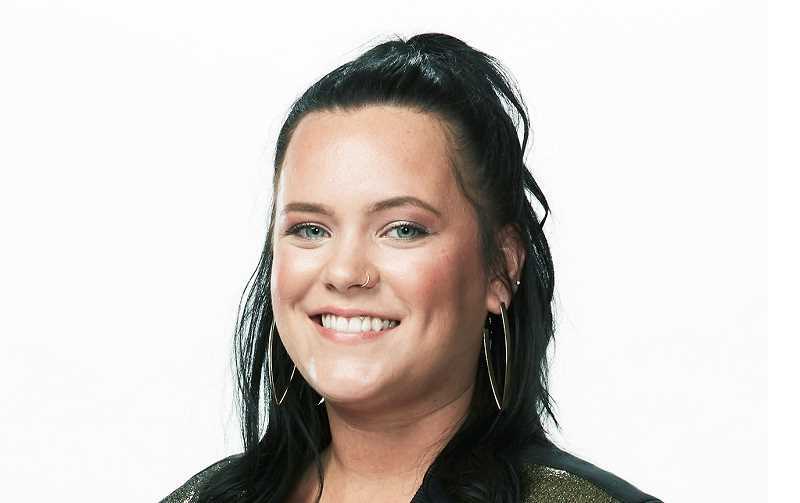 GreyCloud said the guidance she received along her "The Voice" journey was "once in a lifetime," and praised her experience being on television as "amazing." "I'm so proud of how far I got and that I was able to represent Oregon," she said. She described her favorite experience as getting to meet her fellow contestants, who she described now as family. She added that she "couldn't have asked for a better experience," and those fellow contestants "inspire you to be better." She also praised the production staff for making the experience as special as it was. "They did everything they could to make sure we had an amazing time," GreyCloud said. The biggest lesson GreyCloud said she took away from her time on the show was how to connect with fans and those who support her music. "I really learned how to connect as a performer and an artist," she said. "They're the reason I made it as far as I did." She also said she learned to appreciate "how to be the type of artist people feel like they connect to." "I can apply that for the rest of my career," she said. Despite no longer being on "The Voice" and winning the recording deal that comes with it, GreyCloud's career isn't slowing down. She's continuing to tour around the area for now, but has a single coming out on New Year's Day for fans to look forward to. She'll also pick touring back up again in 2019, with dates and locations to be announced on social media. She also has a website that will be launched in the New Year. "There's a lot of exciting stuff for 2019, so people just need to stay tuned and see what's going on," she said.